Smart Search - A sure way to recover lost and deleted documents. A sure way to recover lost and deleted documents. SmartSearch ensures the recovery of over a hundred supported types of documents even on badly damaged, reformatted of repartitioned media. Supporting various types of files such as Office documents, digital pictures, movies and music, SmartSearch does what other recovery products only promise: it uses a slightest chance to locate and recover lost data and deleted files. The recovery technology works with office documents, databases, email, images, audio and video files, ZIP and RAR archives, and many other types of files, over 250 in total. Designed to operate on disks with missing or corrupted file systems, SmartSearch supports all types of data recovery from simple file undelete to restoring data from badly damaged disks. SmartSearch delivers on a promise of complete recovery by using the slightest chance to get back the lost and deleted files. The technology ensures that every bit of information from the disk is used to facilitate the recovery. This includes the file system or remaining thereof, binary data from the surface of the disk being recovered, and information contained in the structures of the recoverable files such as headers. 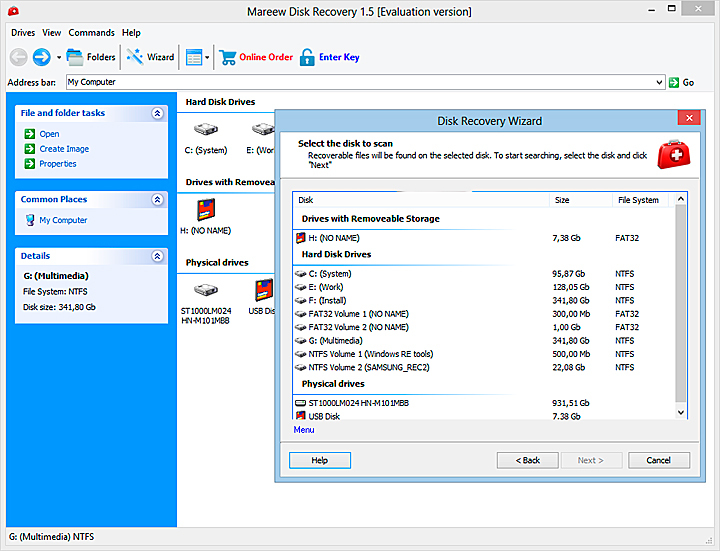 This powerful recovery feature is available in all products manufactured by Mareew Company, and is enabled in both free and full versions of the products. SmartSearch removes trial and error from data recovery by featuring all possible methods of data recovery and all combinations of such methods to ensure the best possible outcome. SmartSearch works silently under the hood of all Mareew disk and data recovery products. The technology analyzes the file system if it's available, and then matches information from the file system with actual data it reads from the hard disk. Scanning the disk sector by sector, SmartSearch gathers information about the beginning and end of each recoverable file of a supported type by detecting and analyzing certain structures that are typical for each type of file. For example: headers of JPEG files contain 'JFIF' signature as well as information regarding the exact length of file and image's pixel dimensions. SmartSearch detects the characteristic signature, analyzes file header in order to determine the exact length of the file, reconstructs the file by reading subsequent sectors from the hard disk, and checks the file for validity, performing a repair operation on corrupted files if necessary. SmartSearch is being under constant development. Mareew Company is adding support for more file formats all the time. 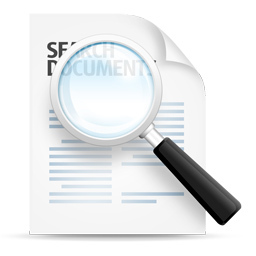 Today, SmartSearch supports over 250 different types of files. SmartSearch can locate and recover various Office documents such as Microsoft Office 95-2013, StarOffice and OpenOffice documents, RTF and HTML files, Adobe PageMaker and PDF files. Certain types of damaged documents will be repaired on-the-fly if they are corrupted or partially overwritten. SmartSearch does not require Microsoft Office, OpenOffice, or StarOffice to be installed in order to locate, recover and repair documents. SmartSearch recognizes certain databases such as dBase, MS Access and Works, and recovers email databases produced by Outlook Express. It can recover texts in various formats, and recognizes code written in many programming languages such as C++, Visual Basic, Delphi and other. SmartSearch supports the recovery of digital images in various formats such as TIFF, TIF, NEF, PEF, X3F, JPEG, JPG, TIFF, BMP, PNG, GIF, TGA and many others. Vector and 3D images such as AI, VSD, SWF, MAX, and other types are also supported. SmartSearch fully supports RAW files generated by digital SLR cameras by Canon, Nikon, Olympus, Pentax and Sony. Various RAW formats are supported, including CRW, CR2, RAW, NEF, PEF, and many others. 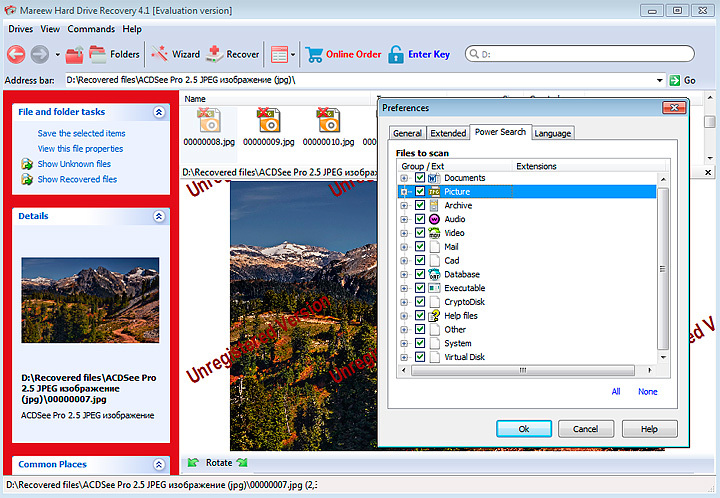 SmartSearch supports the recovery of compressed archives such as 7Zip, ZIP, TAR, RAR and CAB. SmartSearch locates and recovers movies, videos and animations. Multiple video formats are supported, including AVI, VOB, MPG, MOV, WMV, and even the newest high-definition Blue-ray videos M2TS. SmartSearch does not require any external codecs to be installed in order to recognize and recover supported files. SmartSearch can recover and undelete music and audio in MP3, WMA, ASF, WAV, OGG, WV, RA, RM, VQF, MID, and VOC formats. As always, installed audio codecs are not required for SmartSearch to operate.